Could you co-relate to the components of a cash applications transaction, based on the data shared in the last post? 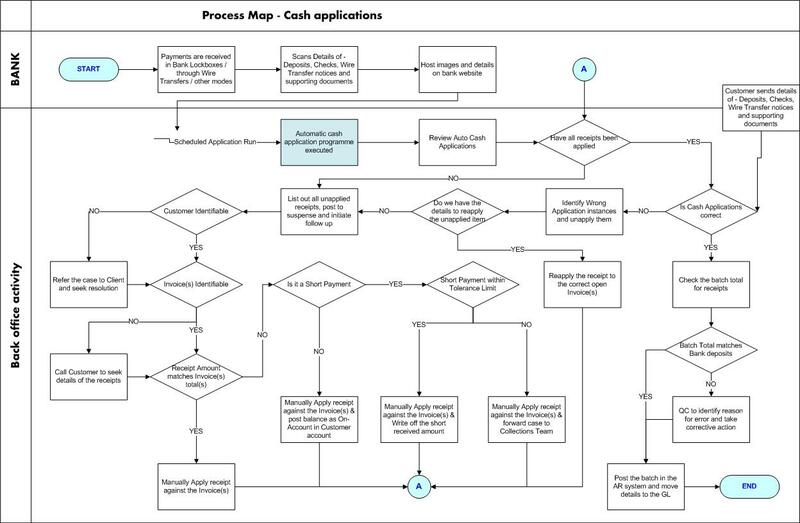 Let us see how a typical Cash Applications Workflow look like (click on the image for a larger view). So, does this help? Well, I will try to cover a sequence of steps in the next post. We have enabled a button on the top of the first page, which will enable you share your posts. If you wish to write about any of the current streams, you can do it at http://faoblog.com/guest-post/. We will review your post and release it within 48 hours of your posting.